This Letter(Kenny) thing is getting tougher. I'm trying to keep prices reasonable, but I can't ignore some nice, albeit higher-priced offerings. Finding a spirit for every letter of the alphabet is as tough as beating Wayne in a fight. 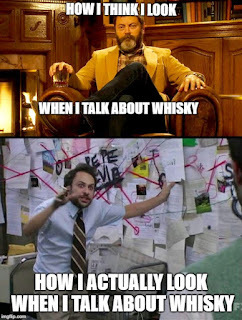 Maybe I should stray away from whisky. Maybe I will. Well, here goes. Pitter patter. 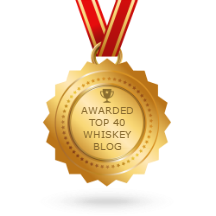 Grain whiskies have a bad reputation among certain whisky snobs as being "inferior" to malt whiskies. Ignore those people. There are great grain whiskies, and this is a fine one. 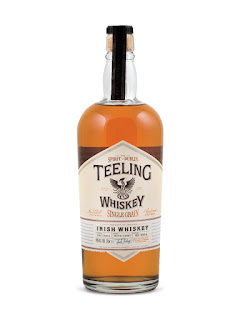 This whiskey has light aromas of toasted grain, spicy oak, and toffee. Like many Irish whiskeys, it has an almost oily texture. 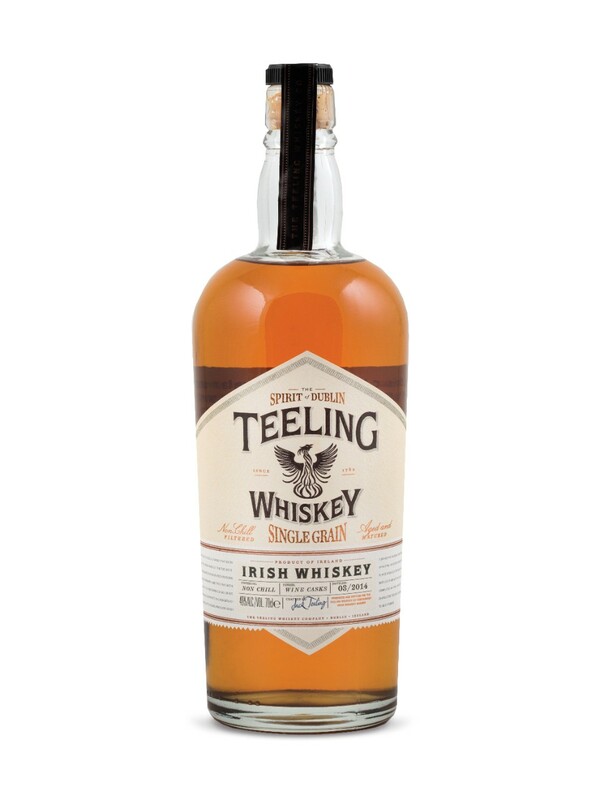 Teeling is fudgy-sweet and herbal-spicy and has a long and balanced finish. There's also a good deal of fruitiness here, as this whiskey has been aged in California Cabernet Sauvignon casks. Canadian Arctic sourced botanicals that include cloudberry, labrador tea, and rose hip give this gin its unique colour and flavour. Ungava features aromas of juniper, herbal tea, spice and tart fruit. It's dry and medium-bodied with a warm and spicy finish. Ideal for a nice Gin and Tonic, a Negroni or a Gimlet. This new-style Gin is great in an old-time drink. 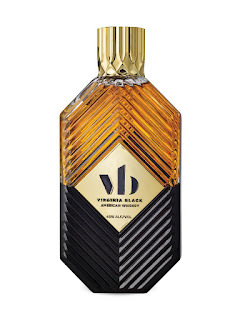 Virginia Black is the result of the collaboration between the creator of DeLeón Tequila and award-winning Canadian rapper Drake. It may appear a bit gimmicky in tha bottle, but reviews seem pretty decent. If you're looking for a whiskey that isn't overly bold or oaky, this may be the right one. Lots of buttery sweetness, a faint touch of rye spice and some maple syrup notes round this one out. Drake's whiskey is mild and friendly, like you might imagine the rapper would be. The bottle seems to divide people, as it looks sort of cologne-ish, but if this gift is for someone with fashion-forward tastes, it might do the trick. No list published in Canada can be complete without the Great One, regardless of its relevance to hockey. There's a lot to like about this whisky. Red Cask uses Ontario-sourced grains and red wine casks from the Gretzky Estates winery in Niagara-on-the-Lake as well as ex-bourbon casks. The resulting whisky is very approchable, and can be sipped neat or mixed in a cocktail. Red Cask includes aged rye, malted rye and corn resulting in a light, yet complex whisky with grape and citrus flavours, almond notes, a bit of brown sugar sweetness. It won't break the bank, and I fully admit that the Great One's name is a selling feature, for better or worse. Yes, a red wine. Hey, you try to find something that starts with X. 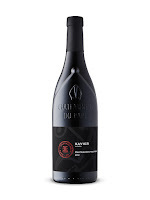 This wine features Christmas spices (nutmeg, cinnamon), raspberry, and hints of mint. Made from 65% Grenache, 20% Syrah and 15% Mourvedre that was aged in equal parts foudre and barrel, drink it anytime over the coming decade. For those who don't speak French, a literal translation of the name of this village (that's what Châteauneuf-du-Pape is) would be "New Castle of the Pope". In case you didn't know, Châteauneuf-du-Pape is a town in southeastern France. The village is about 12 kilometres north of the town of Avignon. A medieval castle sits above the village and dominates the landscape to the south. It was built in the 14th century for Pope John XXII. I've written about this one before. 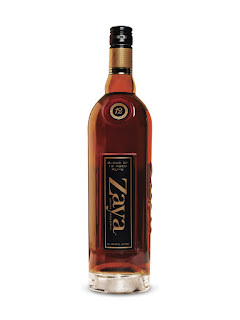 It's a terrific whiskey and a great example of a wine-finished single pot still. It features a 12 year age guarantee, which is always nice to see. It isn't a dealbreaker if there isn't an age statement, but it's nice to see one. There's Something to be said for maturity. Yellow Spot has been matured in three types of cask: American Bourbon cask, Spanish Sherry butts and Spanish Malaga casks for a sweeter flavour. It is more wine-influenced than its little sister, Green Spot. This dram explodes with lemon, butterscotch, cinnamon, peaches, vanilla, almonds, grapes and apricots. And at 46% ABV, this whiskey packs a bit more punch than Green Spot. The finish is longer and the bite is firmer. It's a bit tough to find at times, but it's well worth the effort. More rum? Yes, more rum. This one features aromas of caramel, citrus peel, vanilla, spice, nuts and toasty oak. It has a rich and mouthfeel with lots of spice, clove, caramel, vanilla, orange and a slight scent of banana. Its long finish will keep you warm on a cold Christmas night. Or morning. No judgment. We're all friends here. I hope your Holiday season is fantastic. I hope my suggestions have given you ideas on what to pour into your "cup of cheer". (PSA ALERT) Make sure you enjoy responsibly and please, be safe; never operate a motor vehicle after imbibing alcohol. Have a great one !! !